The final 32 generators went into operation this week, making it the world's largest hydropower project, built on the Yangtze River in China. A series of incredible photos show the sheer force of the flood water released from seven spillways, pictured. 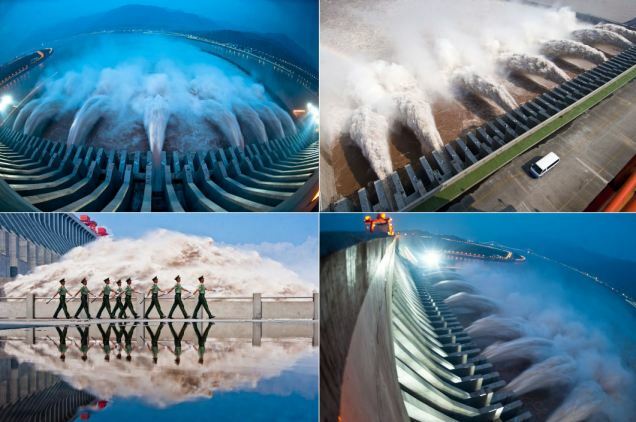 This one for hydropower you...China kan tinggi kegunaan eletricity...can imagine dia punya power just like tsunami..